For the fourth consecutive season, Clemson will represent the ACC in the College Football Playoff. And while the ACC may have 11 teams playing in the postseason, the conference will take on an underdog mentality for the most part this bowl season. Clemson is a sizable favorite in their Cotton Bowl matchup, a College Football Playoff semifinal with Notre Dame. And the Tigers are expected to have a chance to write another chapter in the ongoing playoff rivalry with Alabama in the title game. Dabo Swinney continues to set the standard for the ACC with the work being done by the Clemson program. But what about the rest of the conference? Clemson is the only team playing in a New Year’s Six bowl game out of the ACC this year, and the rest of the bowl lineup slots ACC teams in some matchups the oddsmakers feel will go the other way, with few exceptions. This bowl season sees Virginia Tech extend its bowl streak while Florida State sits at home for the first time in a generation. The conference will also send Georgia Tech’s Paul Johnson off into retirement and see Miami defensive coordinator Manny Diaz coach one final time before taking on a new role as a head coach. There are 11 games on the board, and just three ACC teams are labeled as the favorites going in. Let’s run through what the ACC has for us this bowl season. Clemson make their fourth consecutive trip to the College Football Playoff, but before the Tigers can start thinking about yet another battle with Alabama, they must dispatch of Notre Dame. The Fighting Irish make their first playoff appearance, and like Clemson, they bring an undefeated record into the postseason. Expect a good defensive battle with these teams; this season’s rising star quarterbacks Trevor Lawrence of Clemson and Ian Book of Notre Dame will be challenged. Brian Kelly may be continuing to have Notre Dame more and more prepared for these types of moments, but Dabo Swinney and Clemson have made this a routine within the program. Experience can sometimes be a factor when it comes to keeping composure on the sidelines, but both teams will come into the Cotton Bowl feeling confident about their chances. 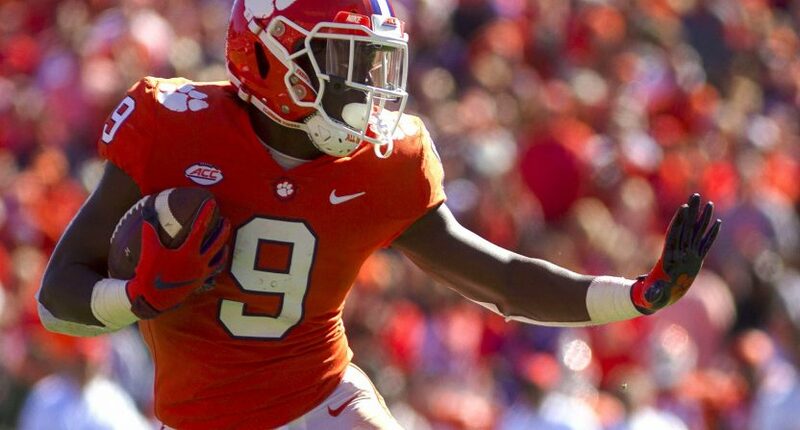 Key matchup: Travis Etienne has proven more than capable of putting the Clemson offense on his shoulders when needed, and he’ll likely play a pivotal role for the Tigers against the Irish. Etienne was a finalist for the Doak Walker Award with 21 rushing touchdowns this season. Etienne has rushed for at least 150 yards in each of Clemson’s last two games, but the Irish have allowed no more than 119 rushing yards in their last four games. Wake Forest scratched their way into the bowl season with a blowout victory over Duke in the regular season finale. Now the Demon Deacons are looking to extend their bowl winning streak to three as Dave Clawson continues to establish a habit of winning in Winston-Salem. Greg Dortch will look to add to his 1,000-yard season and could still be a special teams threat as well against a talented Memphis team that finished as the runner-up in the American Athletic Conference. Memphis is a dangerous team as the last month of the season demonstrated even without winning the AAC. Wake Forest will have to embrace the underdog role in this one, but they have the ingredients needed to give the Tigers a battle. Key matchup: Memphis running back Darrell Henderson enters the bowl season with a shot to win the rushing title for the 2018 season. He begins the game with 1,909 rushing yards and 22 touchdowns as a Doak Walker Award finalist (Wisconsin’s Jonathan Taylor beat Henderson and Clemson’s Etienne). Stopping Henderson will take a mighty effort from Wake Forest, as the rushing defense was not Wake Forest’s particular strong suit. The Demon Deacons allowed 29 rushing touchdowns and 191.33 rushing yards per game. If Wake Forest is going to win this game, they must play better on the ground. Boston College is heading to the Cotton Bowl. Well, the Cotton Bowl stadium, that is. The Eagles are a slight underdog against the Boise State Broncos as running back AJ Dillon could be questionable to play in the bowl game. The impact of potentially not having Dillon could be a significant problem for Boston College as he has been the life force for the Boston College offense this season. The defense could also have a tough test with the Boise State offense, although the Broncos have their highs and lows. Key matchup: If Boston College is without their star running back, the Eagles will have to look for a spark elsewhere. Enter receiver Michael Walker, the special teams lightning rod for the Eagles. Walker is the ACC’s second-leading all-purpose yardage leader with the bulk of his work being done on kickoff returns. Walker has one punt return for a touchdown and he will help provide Boston College with decent field position on returns if Boise State can’t stop him in kick and punt coverage. Paul Johnson will coach his final game for Georgia Tech as the Yellow Jackets look to hold off Minnesota in Detroit. Johnson has a chance to go out a winner at Georgia Tech as Temple head coach Geoff Collins is preparing to take over the job. Expect one more hurrah for the option offense of Georgia Tech led by senior quarterback TaQuon Marshall and freshman Tobias Oliver. 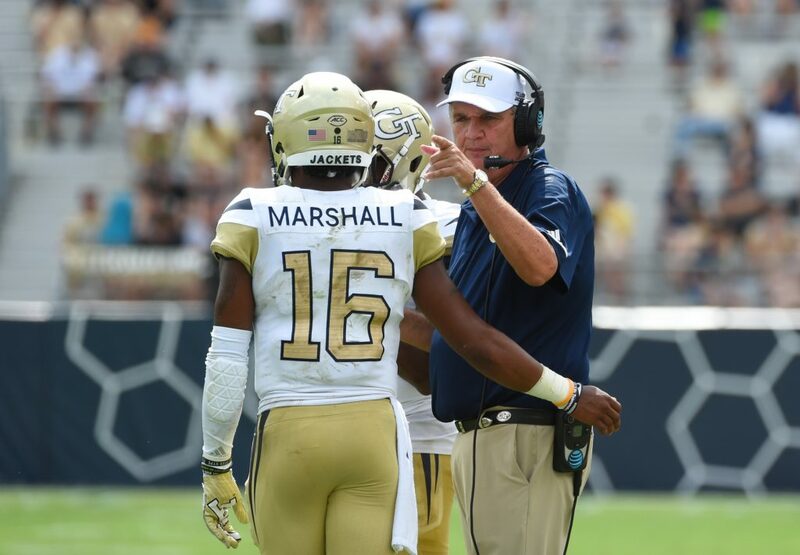 Key matchup: Although Georgia Tech’s overall scoring percentage inside the red zone is just 12th in the ACC, the Yellow Jackets have the third-best red zone touchdown rate in the conference with 39 touchdowns on 56 red zone trips. As long as Georgia Tech gets the ball inside the Minnesota 20-yard line, they should be in good shape because the Gophers give up plenty of points inside the red zone, if opponents can get there. On 30 red zone trips, Minnesota opponents scored touchdowns on 18 trips, with nine additional trips ending with field goals. Georgia Tech will hope to finish off drives in the end zone to put Minnesota away. Duke’s regular season ended on a sour note with blowout losses to Clemson and Wake Forest, but they’ll get a chance to end the season on a winning note with a bowl matchup with the Temple Owls. Temple will head to the game with a very enthusiastic interim head coach following the hiring of Matt Collins at Georgia Tech. Temple has also been on a bit of a hot streak in the second half of the regular season to make a late run for the AAC title crown before finishing just behind UCF in the division. Duke will have their work cut out for them with the Owls down in Shreveport. Key matchup: Duke quarterback Daniel Jones has become a name NFL scouts have been paying attention to this season. His accuracy will be put to the test against one of the nation’s top pass defenses. The Owls have given up 18 passing touchdowns and intercepted 15 passes this season, while allowing 166.3 passing yards per game to opposing quarterbacks. It’s fair to point out Temple’s passing numbers are anchored a smidge by playing option-run heavy Navy, and Houston and CUF each passed for over 300 yards against the Owls. But outside of UCF and Houston, not too many teams have been able to do too much damage to Temple with the passing game since the beginning of October. They have allowed just nine passing touchdowns in that time frame, eight of which came against UCF and Houston. It’s an Orange Bowl rematch in the Bronx. A year after losing a matchup of conference championship game runners-up to Wisconsin in the Orange Bowl, Miami gets a second crack at the Badgers in this year’s Pinstripe Bowl in Yankee Stadium. Manny Diaz will coach his final game as Mark Richt’s defensive coordinator before moving on to take the head coaching job at Temple, and he’ll look to redeem himself against Wisconsin in this one. The aerial success of Wisconsin took Miami by surprise last season, but the Hurricanes bring one of the top ACC passing defenses in a decade to the table this year against a Wisconsin team that’s struggled to throw the football. Key matchup: Much of the focus will be on Miami’s defense trying to tie down the nation’s leading rusher and Doak Walker Award winner, Jonathan Taylor. 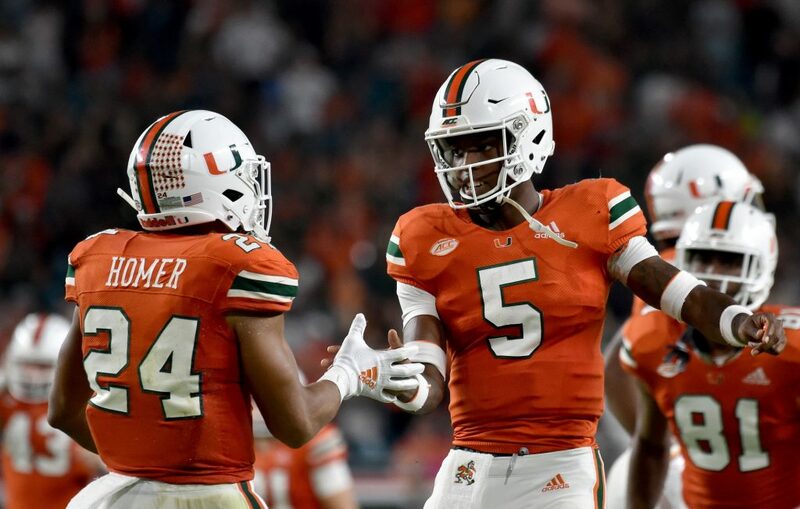 But Miami’s run game with Travis Homer and DeeJay Dallas should be able to counter well against a Wisconsin defense that was shredded for 201 yards by Minnesota, gave up 210 yards to Illinois, 320 yards to Michigan, and over 180 yards to both Northwestern and Penn State. Wisconsin’s defense has had trouble at times this season, and a steady ground game from Miami should be featured in a cold weather game. Wisconsin won’t be bothered by the elements, but Miami will need the running game to take the pressure off the passing game in the possible elements. Syracuse faces an old Big East foe in the Camping World Bowl as Dino Babers and the Orange prepare for West Virginia of the Big 12. The Mountaineers will be without some key players that have played a significant role in their successful season that nearly ended with a shot at the Big 12 title. That seems promising for Syracuse, who are looking to end a season with a bowl win for the first time since 2013. Key matchup: Expect plenty of offensive fireworks in this one. Both West Virginia and Syracuse are in the bottom half of the nation in total defense, so both teams should be able to move the ball well and create scoring opportunities. But with West Virginia playing without starting offensive lineman Will Grier, Syracuse’s defensive front will be tasked with making sophomore Jack Allison uncomfortable. The backup quarterback has attempted just 10 passes all season long. Syracuse was second in the ACC in sacks with 38.0, so bringing pressure against the Mountaineers should be expected. Another season of growth for Virginia will end with the most wins for the Cavaliers since 2011 regardless of what happens in the Belk Bowl against South Carolina. The Cavaliers will catch a break by not having to face Deebo Samuel, but Virginia still has work to do against the Gamecocks. Key matchup: South Carolina’s defense allowed just nine touchdown passes this season and only Tennessee managed to have more than one in a game. Clearly, Virginia’s Bryce Perkins will not have too many opportunities to find a crack through the air even though he comes into the game with a completion percentage of 63.8 and 22 touchdowns this season. Perkins will have to help fuel the ground attack, as he’s done well this season. South Carolina gave up 194.5 rushing yards per game (ranking them 13th in the SEC against the run) and an SEC-worst 28 rushing touchdowns. Virginia Tech managed to keep their bowl streak alive by winning a last-second addition to the schedule against Marshall. Their reward for continuing what is now the nation’s longest active bowl streak is a chance to play Cincinnati, one of the most improved teams in the AAC this season. For a Virginia Tech defense that hasn’t lived up to the standard in Blacksburg this season, that could be a challenge. Key matchup: When Cincinnati gets inside the red zone, it’s pretty much touchdown or bust. The Bearcats are among the worst teams in red zone scoring percentage but among the best in red zone touchdown percentage. This is where Virginia Tech can create an opportunity. Although Bud Foster’s defense hasn’t been what you expect from the Hokies this season, Virginia Tech buckles down inside their 20-yard line. 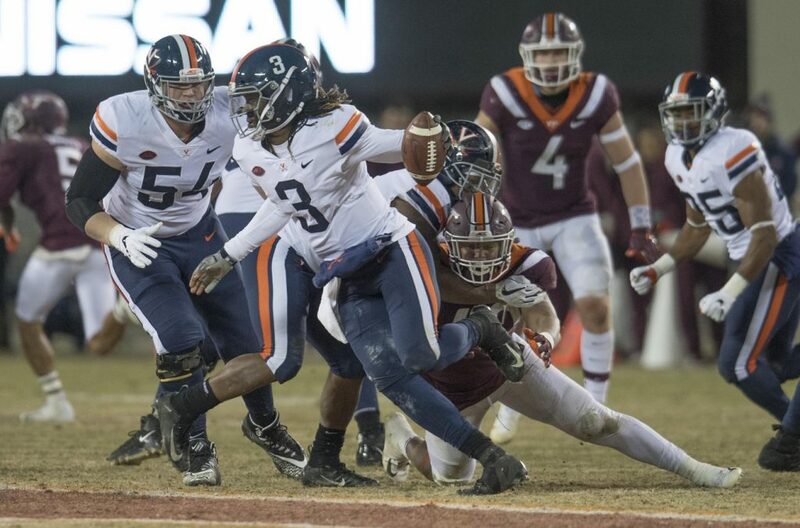 Opponents are scoring points just 77.55 percent of the time in the red zone (Virginia Tech ranks 22nd in the nation in red zone defense), but the Hokies have given up 28 red zone touchdowns on 49 trips (ranking the Hokies 47th in red zone touchdown defense). 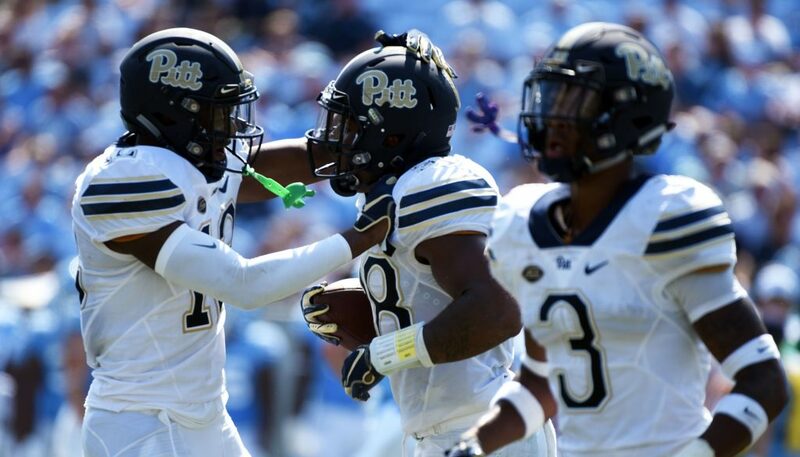 The Pitt Panthers, fresh off their first ACC Coastal Division title run, head out to the Sun Bowl to take on the Stanford Cardinal of the Pac-12. This one should be a good defensive battle that will be short of offensive highlights. If that sounds familiar to Pitt fans, don’t worry. There should be at least a little bit more offense this time compared to that infamous 3-0 Sun Bowl against Oregon State in 2008. Let’s hope that’s the case at least. Key matchup: Pittsburgh’s running defense ranks 86th in the nation. They gave up 301 rushing yards to Clemson in the ACC Championship Game, 293 yards to Miami, 223 yards to Duke, 240 yards to UCF, 320 yards to Georgia Tech, and 211 yards to Penn State. Pitt won’t have to face Bryce Love, who’s sitting out to focus on the NFL Draft. That should be encouraging because the Cardinal have struggled on the ground this season with the nation’s 123rd-ranked rushing offense, and that included 10 games with a beat-up Love. Could one of Pitt’s biggest weaknesses actually be a strength in this game? NC State is going for a third straight season ending with a bowl victory, a feat never before accomplished by the program. Dave Doeren also has a chance to be the first NC State head coach to have a 10-win season since Chuck Amato went 11-3 in 2002. Ryan Finley is looking to close out his college career with a chance to hit the 4,000-yard mark, and running back Reggie Gallaspy II will provide the power on the ground. And, oh yes, the opposing coach for Texas A&M is Jimbo Fisher, the former Florida State head coach who’s more than familiar with the Wolfpack. Key matchup: Expect NC state to be vulnerable against the pass. The Wolfpack rank 120th in the nation after allowing 271. 2 passing yards per game. Aggies tight end Jace Sternberger will be difficult to handle for the Wolfpack, and it will be interesting to see how NC State linebacker Germaine Pratt mans the middle of the field in an attempt to make sure Sternberger doesn’t find space to use to his advantage.